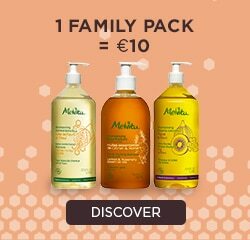 By continuing browsing this website you accept the use of MELVITA or third parties cookies and other technologies such as tags in order to improve your user and shopping experience, to provide you with personalised content and offers tailored to your interest and to monitor traffic statistics. For more information and to change cookie settings click here. Discover Melvita organic face cares for normal to dehydrated skin. Perfectly moisturized throughout the day, the skin feels soft and supple again!